Hey everyone! It's Candace from Candi O. Designs and it's my day over at Jaded Blossom! 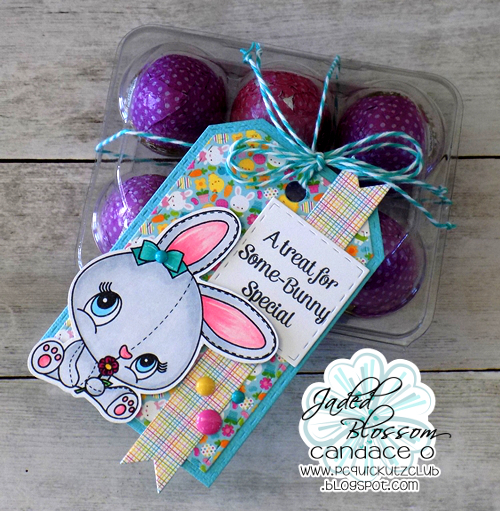 With Easter just around the corner, I made a couple of treats for my projects today. 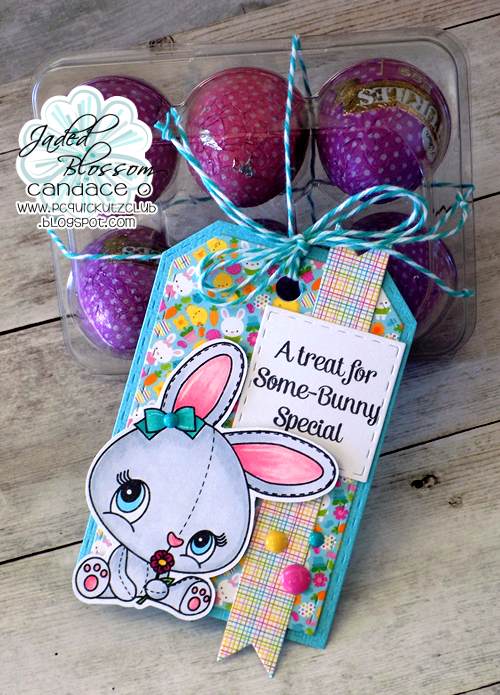 JB has some super cute stamp sets and dies that are perfect to create Easter Treats!! 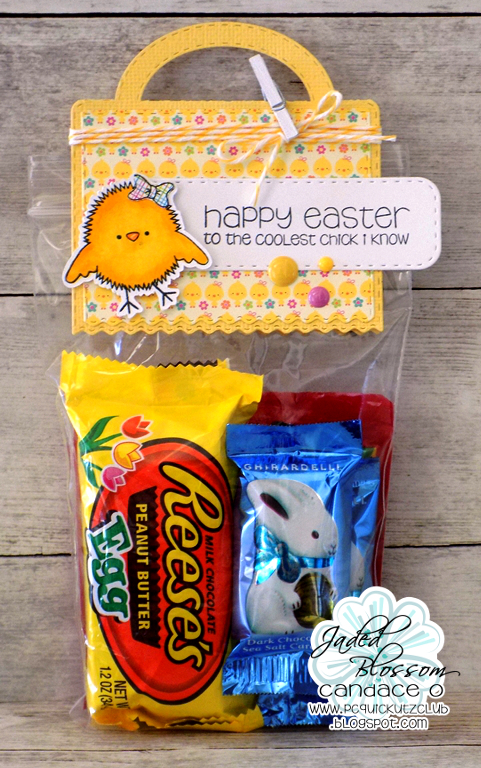 I bought this package of Turtle Easter Eggs and the container is just too cute so I added a sweet tag to make this treat. 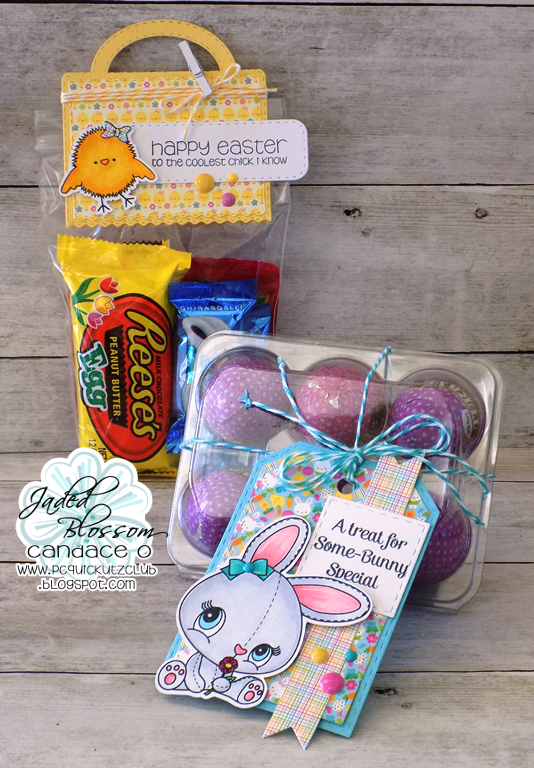 I filled a small bag with chocolates and candies, then used the awesome ric rac topper die to make this treat. Super adorable! 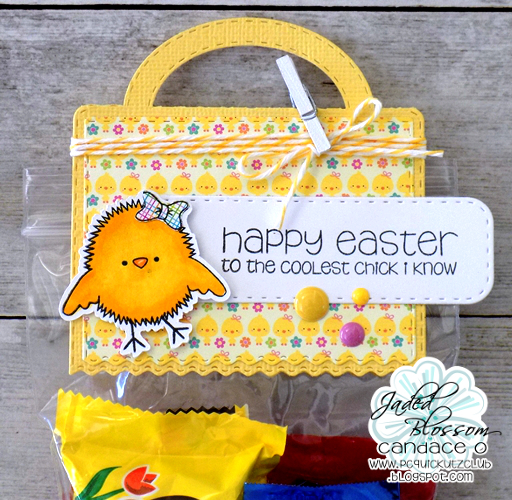 Love the colors you used on the bunny and that is the cutest chick!